My camera keeps taking really dark pictures of this model. My apologies. I must have built this model sometime back in 2012. In fact, I actually found the blog where I posted the conversion way back in September, 2013. It was a simpler time. I preferred converting and sculpting to painting. I was just barely experimenting with actually highlighting things. The blog was in it's infancy. Long time readers (dare I say, fans? Looking back I see longtime stalwart Dai even commented on one!) may remember that I went through a bit of a pirate ork phase. It only resulted in 6 finished models, but I spent a solid year accumulating bits before they saw the painting table. I painted a few interesting models in my pirating days. 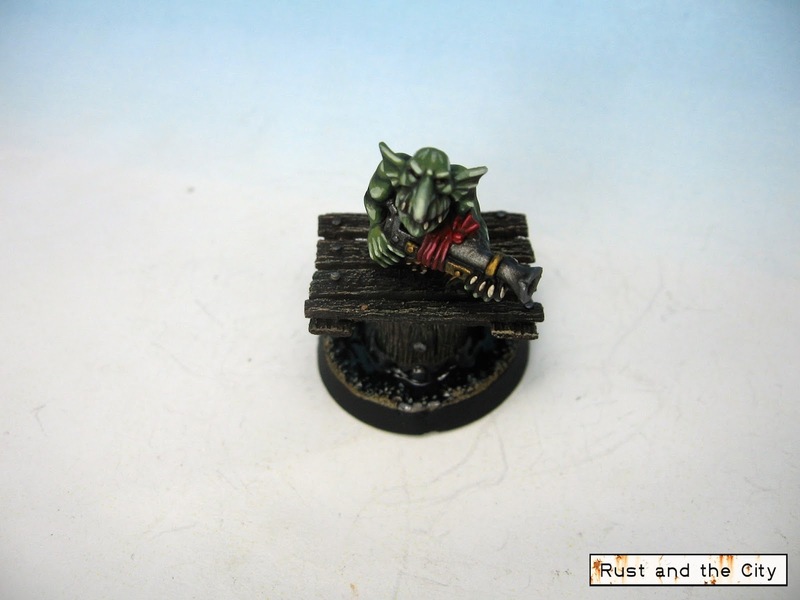 Pegleg was part of a Prisoner Exchange where I sent a painted model to Mordheimer from the Mordheim forums. He was a model that really pushed my painting skill at the time. 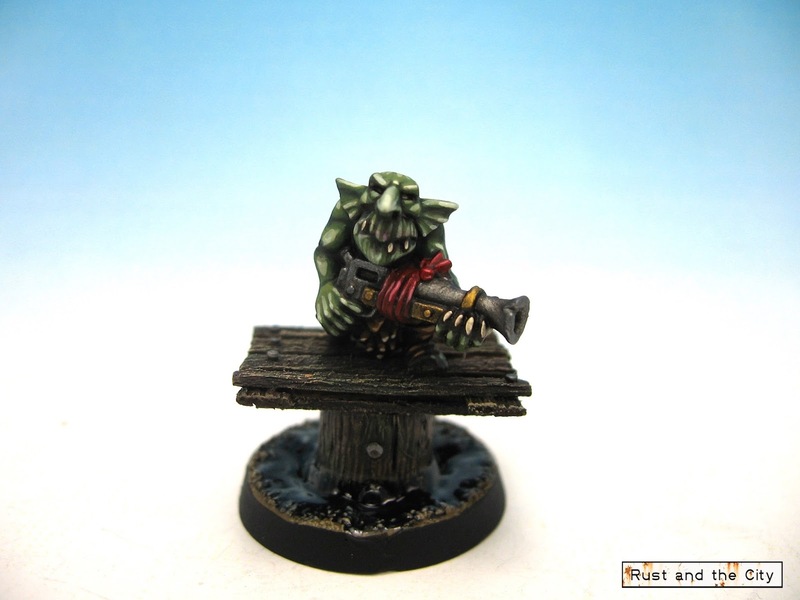 I then complete 5 ork pirates as a small commission/trade. One post shows the boys. The other post shows the Nobs. Well, what to make of all this rambling? 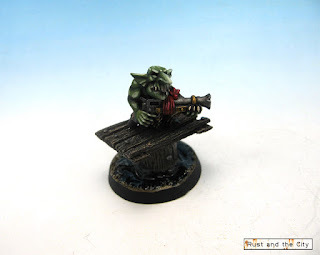 Painting a 28mm model was a refreshing change. It was nice to paint a fantasy model with such stark relief. Much easier to paint than the tiny folds in a 15mm Zeltbahn. It's also quite liberating being able to paint things whatever colour I feel like at that moment. For the 6MMRPC, I could really crank up my production if I simply moved all painting to finishing half completed models. 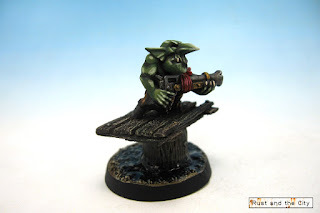 In the short term, it makes me also want to explore painting some 28mm WW2 models to ease the strain on my poor eyes. Anyways, thanks for joining me on this trip down (orky) memory lane. I hope you'll stop by soon for more Flames of War models and hopefully some more frequent visits to the wonderful imaginations of fantasy and sci-fi sculptors. And Winner Dave, this was a real palate cleanser. Take care everyone. That's amazing! What a mini! Thanks drax. 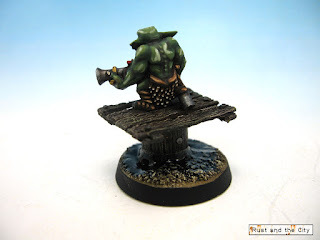 It's always fun to paint ork models. The detail is so large and the models are so characterful. 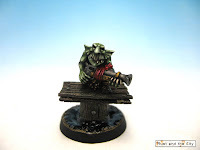 I'm looking forward to your ork boys soon! Really lovely job on those mult-level highlights. Having been painting grots myself recently...they are tiny tiny little buggers. Great job! Thanks Greg. I actually found the grot huge compared to the 15mm infantry I am often working on. It's true. I've been looking round for some 28 and 32mm models to paint. It was a nice break to paint something a little larger. Hrm... Seeing this gives me a hankering to maybe slap some paint on a tiny Snotling dragging an ammo crate that's been untouched now for.... years. 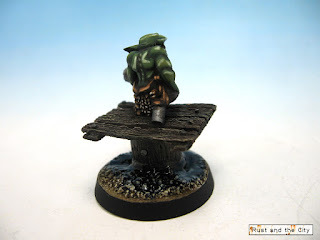 Like your Grot's extreme highlights. I am of the recent opinion that super realistic paint jobs (And attempts at thereof) are worthless if one isn't going to enter said models in a competition. Finest highlights are lost on the game-table, extreme highlights being far more eyecatching. I'm blathering... Keep up the good work sir. 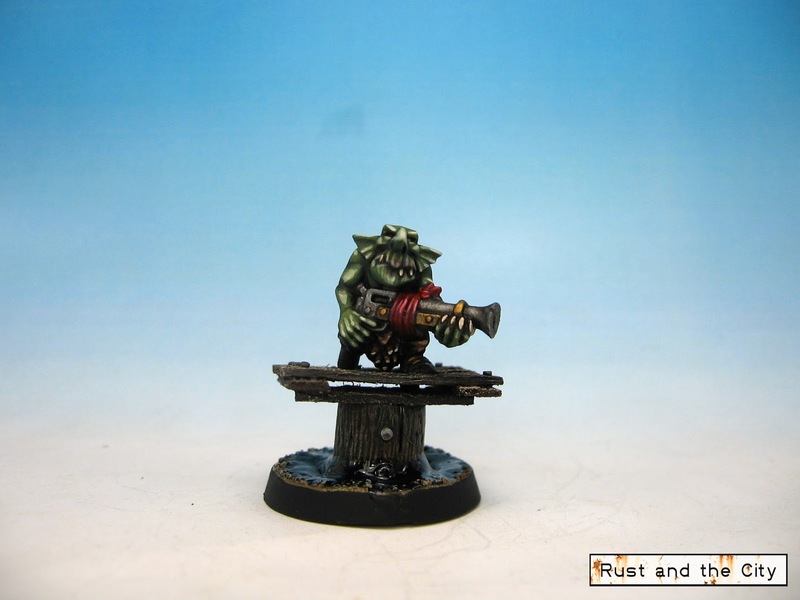 You should paint the snotling. I think I know the model you are talking about. A little plastic one? I am of the same opinion on highlights. The transitions on this model aren't as smooth as I would like. I painted the first highlight like 2 years ago and couldn't remember which colour it was so I went to a more extreme highlight. I think it looks good on the front but is too extreme on the back. I have been working on making my final highlights lighter without being garish. I think it pops a lot better. Many of my favourite models from other painters go almost from near black to near white for each colour. Should be quick. I'm looking forward to seeing it!